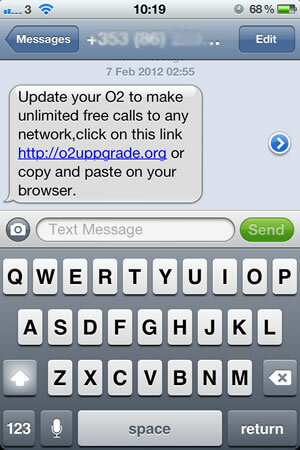 Phone text – free calls offer? Phone Text phishing scams are nothing new in the recent years, but they are just not so common, like e-mail scams are. You know those Millions winning offers, bank details request to transfer gadzillions of dolars from some princess in some country, and many others. Funny ones or sometimes even very convincing one. Recently we have received screenshots from our colleges in Ireland for a phishing scam targeting O2 provider customers via text message. ORG domain is purposely for organization with non-profit character. 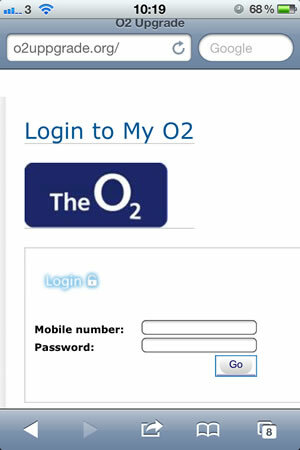 So deferentially not O2. And here is exactly what we expected – phishing page where you enter your Mobile number and password. Therefore exposing your account details. And this is what most user are not aware of. For that split of second you have entered your login details on the page 2 and pressed submit, your records were written to someones database, and than you are passed to the legitimate O2 website. You think, hm… maybe I did enter it wrong. If yo did it right, you have just gave your details to some cyber criminal who can pass your details further, sell it on the black market or even use it himself. 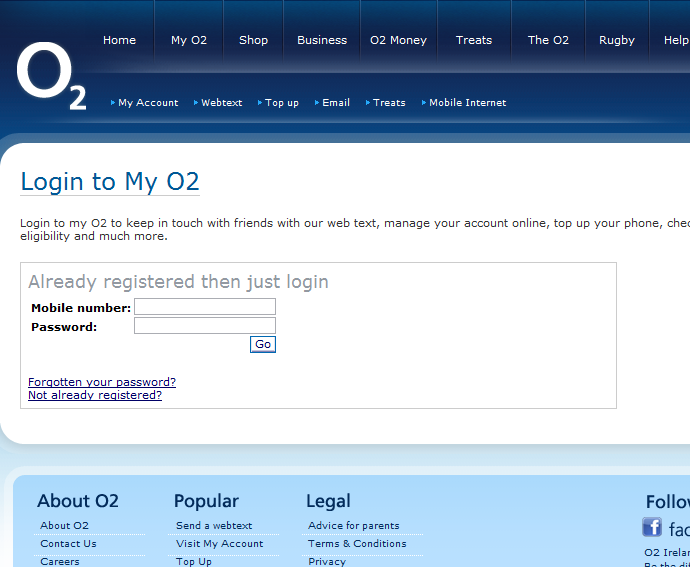 You are now on the legitimate O2 website login page, but no sign about the special offer. Why? Because it never existed. That was the whole phishing scam – phishing because what it means – to lure you somewhere where you would enter your login details so they get recorded for someone, somewhere for some purpose. Be aware: if something looks as a very good offer, and it’s sent straight to you, stop, and think. In most cases it’s a scam. And if you are not sure, why not to ring the sender to make sure that the message is legitimate? And in case you fell for the scam, just change your login details immediately. Prepared by K7 Computing UK and K7 Computing Ireland.